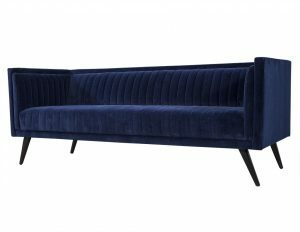 This modern sofa is made to order. 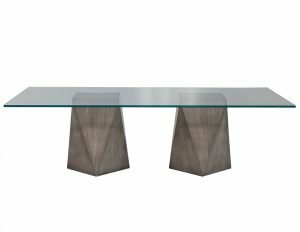 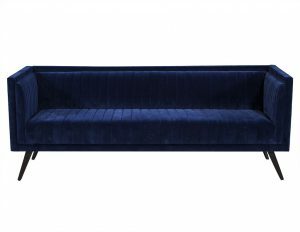 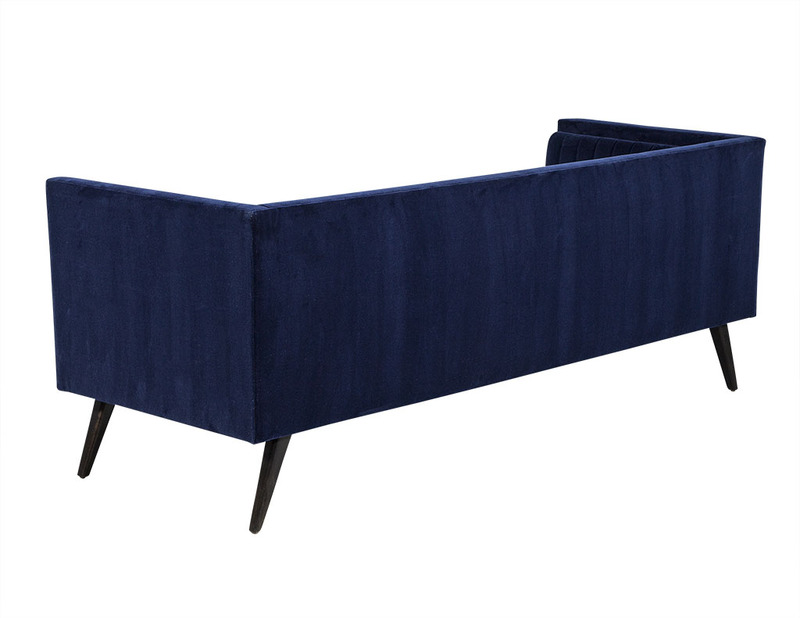 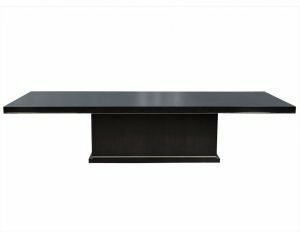 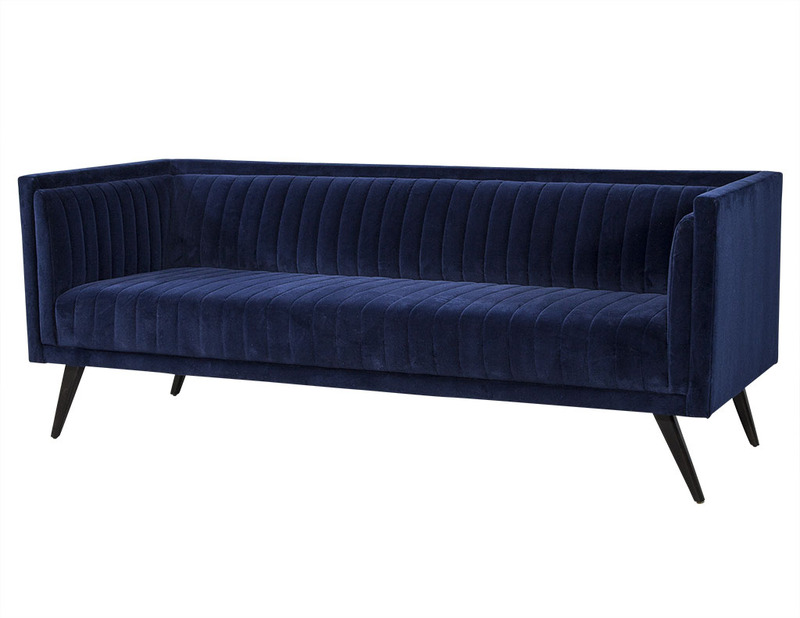 Coated in a deep blue fabric, it sits atop angled and tapered dark finished legs. 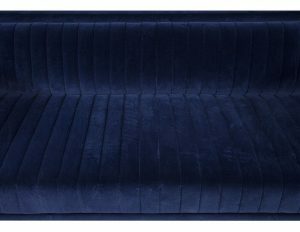 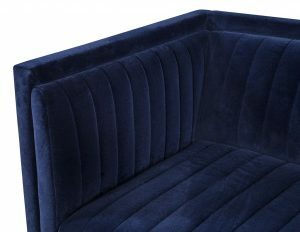 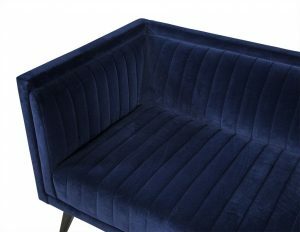 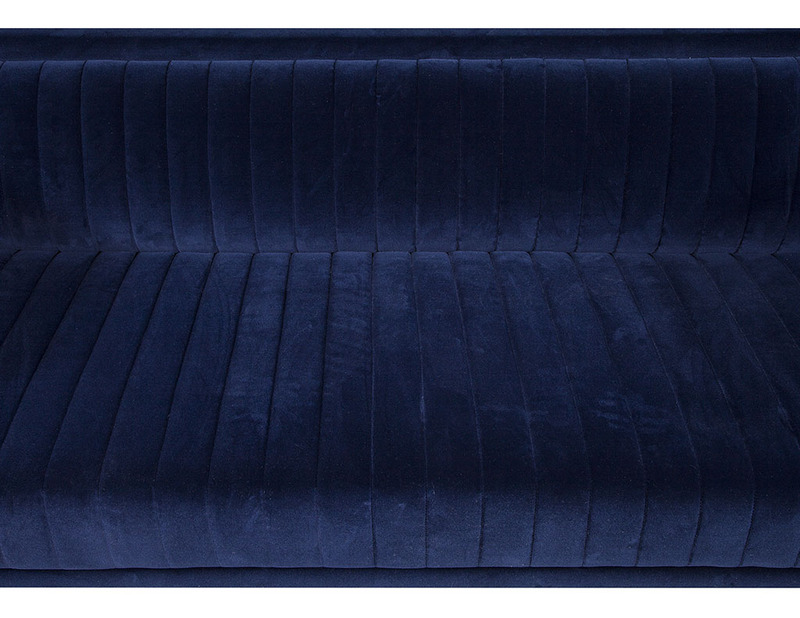 Although the blue is luxurious, there are other upholstery options available so please inquire for pricing. 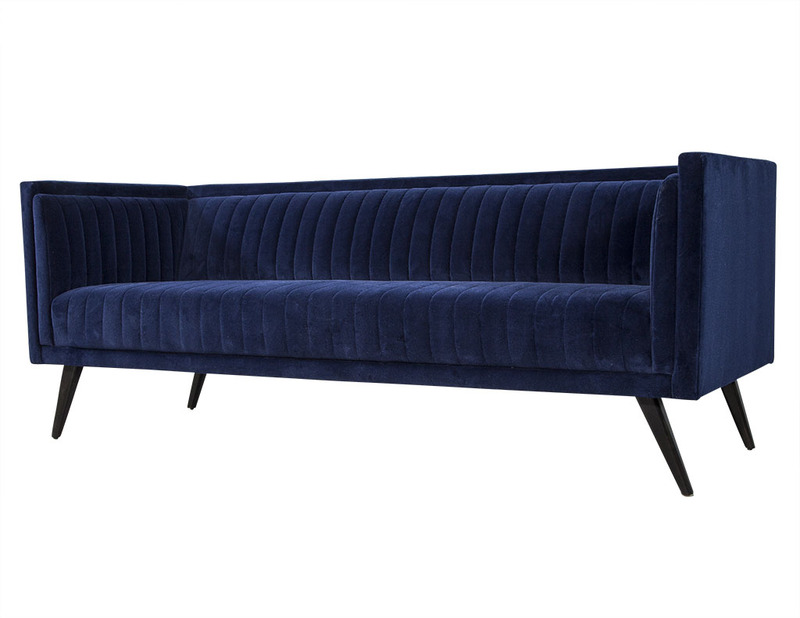 A perfect fit for a comfortable sitting room.